Marquis Victor Cooper (March 11, 1982 – March 2009, missing, presumed dead) was an American football linebacker in the National Football League. He was drafted by the Tampa Bay Buccaneers in the third round of the 2004 NFL Draft. Cooper had also played for the Minnesota Vikings, Pittsburgh Steelers, Seattle Seahawks, Jacksonville Jaguars and Oakland Raiders. He played college football at the University of Washington. On March 1, 2009, Cooper and three other men went missing after their boat capsized in rough seas near Clearwater, Florida. Cooper and two of the men are now presumed to be dead. Cooper was the oldest child of KPNX sportscaster Bruce Cooper and wife Donna. He has a younger sister named Donielle. He was born in Mesa, Arizona and in raised in Gilbert, Arizona, and attended Gilbert Junior High School and Highland High School, where he became an All-State player in football. Though his grandfather worked in the athletic department of Arizona State University, Cooper attended the University of Washington. He graduated with a degree in sociology and was a member of the Pac-10 All-Conference team in 2003. Cooper and wife Rebekah, who met while attending the University of Washington, have a daughter named Delaney Christine. In the offseason, the family lived in Tampa, Florida. 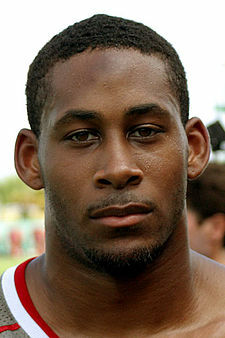 Cooper was drafted by the Tampa Bay Buccaneers in the third round (79th overall) of the 2004 NFL Draft. He was released just before the start of the 2006 season, on September 2.
Cooper signed with the Minnesota Vikings on September 5, 2006. He was released on October 30. On October 31, 2006, Cooper was claimed off waivers by the Pittsburgh Steelers. The Steelers waived him on December 5.
Cooper was signed by the Seattle Seahawks on December 12. He finished the 2006 season with the team and was released the following year on July 27, 2007.
Cooper was claimed off waivers by the Steelers on July 30, 2007. On September 19, he was released by the Steelers. On November 27, 2007, Cooper signed with the Jacksonville Jaguars. The Jaguars released him on December 7. The Steelers signed Cooper for a third time on December 9, 2007. He became a free agent in the 2008 offseason. Cooper was signed by the Oakland Raiders on November 5, 2008, after linebacker Robert Thomas was placed on injured reserve. On March 1, 2009, the U.S. Coast Guard reported that a 21-foot fishing boat was missing off the Gulf Coast near Clearwater, Florida. The boat was carrying four passengers: Cooper, Corey Smith, and two former University of South Florida football players, Nick Schuyler and Will Bleakley. The four men left Clearwater Pass on February 28 at 6:30 a.m. and were expected to return later that night. The Coast Guard began searching for the missing boat shortly after midnight on March 1, 2009. By 1:35 p.m. local time on March 2, 2009, the boat had been located, overturned, with Schuyler clinging to it. The search for the three missing men was called off by the Coast Guard, but friends and relatives organized their own search. The private search was called off on March 6. Cooper, Smith, and Bleakley are presumed dead. On March 11, Cooper's wife filed for a death certificate in civil court. the capsizing ejected the operator and occupants into rough Gulf waters. The conclusions were accompanied by additional details from the Schuyler interviews. According to Schuyler, after the capsizing, he and the other three men, all wearing flotation devices, struggled overnight to remain on top of the capsized hull of the boat, with water reaching chest-high over the partially submerged hull and waves of approximately 6 feet. Cooper and Smith became non-responsive and separated from the vessel between 5:30 and 6:30 the morning of March 1, and Bleakley became non-responsive and separated about 24 hours later, which was less than six hours before Schuyler was rescued. The investigator described the symptoms Schuyler witnessed as characteristic of hypothermia. ^ a b Sinn, Matthew (2009-03-03). "Marquis Cooper bio". WTSP. Retrieved 2009-03-09. ^ a b "Details emerge about final hours of missing NFL players". Orlando Sentinel. 2009-03-05. Retrieved 2009-03-09. ^ a b Garcia, Jose E. (2009-03-04). "Cooper's life full of passions". Arizona Republic. Retrieved 2009-03-09. ^ O'Neil, Danny (2009-03-09). "Marquis Cooper: A one-of-a-kind loss". Seattle Times. Retrieved 2009-03-09. ^ a b Janovich, Adriana (2009-03-05). "Wapato family remains hopeful of finding son-in-law missing at sea". Yakima Herald-Republic. Archived from the original on 2009-03-10. Retrieved 2009-03-09. ^ "Crews still searching for missing boaters". Bay News 9. 2009-03-02. Archived from the original on March 4, 2009. Retrieved 2009-03-07. ^ "Report: Nick Schuyler found clinging to boat". Bay News 9. 2009-03-02. Archived from the original on March 6, 2009. Retrieved 2009-03-07. ^ "Coast Guard suspends search for NFL players, friend". CNN. 2009-03-04. Retrieved 2009-03-07. ^ "Cooper family: Time to begin healing". ESPN. 2009-03-06. Retrieved 2009-03-07. ^ "Wife of NFL Player Lost at Sea Files for Death Certificate". Fox News. 2009-03-12. Retrieved 2009-03-12. ^ Florida Boating Accident Investigation Report (PDF) (Report). Florida Fish and Wildlife Conservation Commission. March 25, 2009. Archived from the original (PDF) on 2009-03-31. This page was last edited on 5 February 2019, at 08:19 (UTC).